Trapped indoors by the extremely cold and icy weather we are enjoying at the moment, I thought I’d spend some time looking at the Gentleman’s Magazine for January 1810. I love reading about events that occurred so long ago and speculating on the stories of the people involved. A couple of sad items caught my eye. First, on January 3rd, it was reported that a French lady, said to be only seventeen years old, poisoned herself at the house of a friend. What could have occasioned this extreme act? Well, the report goes on to say that is was ‘in consequence of being slighted by a British Officer, with whom she had become enamoured’. What, I wonder was the truth? Had a despicable cad toyed with her affections, leaving her bereft when he decided she no longer interested him? Or, was she a young girl infatuated with a dashing gentleman in uniform, who decided to take dramatic action when he did not reciprocate? We will never know. Whatever the reason, I feel sorry for the poor girl who decided to end it all — how desperate she must have been, and what a pity she had no-one to confide in. On January 18th another report appears of someone taking their own life — I don’t intend to make you depressed, but there are very few happy stories reported. Like the press today, it was pretty much a case of doom, gloom, and sensationalism. Anyway, I digress. The report in the Gentleman’s Magazine goes on to say that the morning of Mr Levi’s death was apparently normal, he attended several appointments as usual in the City. 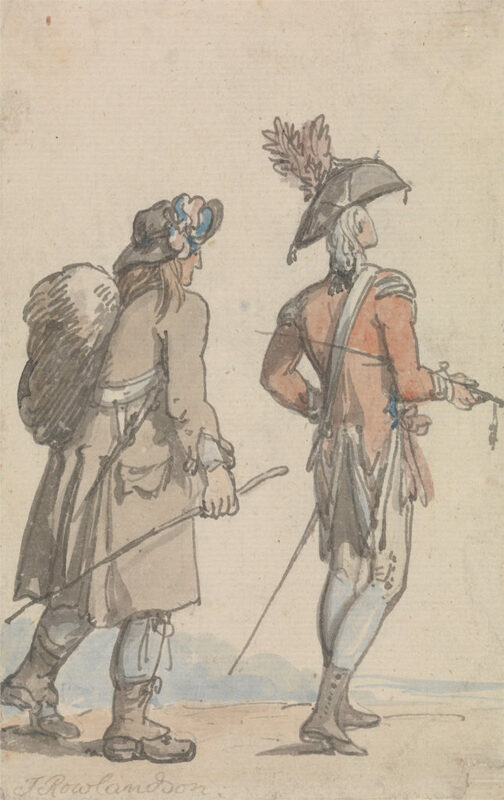 However, at twelve o’clock he obtained admission to the Monument, where he walked ‘several times round the outside of the iron railing before he sprung off’. A porter walking near the Monument had a lucky escape when Mr Levi narrowly missed crashing into him on his way down. It was also reported that Mr Levi had visited the Monument two days previously and remained at the top for some time. Financial problems were said to have caused the derangement of his mind, with the Coroner’s Inquest returning a verdict of Insanity. To lighten the mood a little, I can tell you that the theatres had packed programmes. 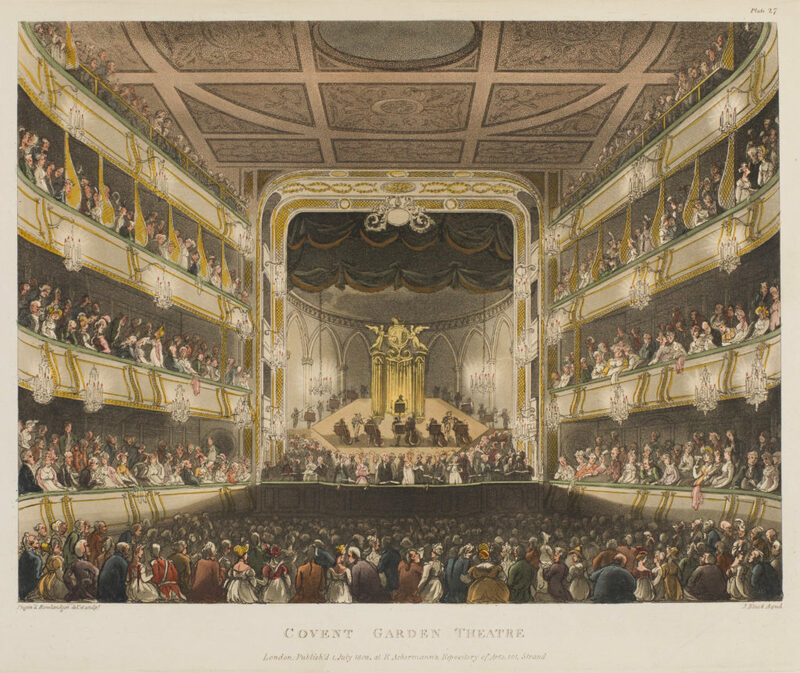 On January 4th, at the Lyceum in the Strand, the Drury Lane Company performed As You like It, followed by Cinderella, while the Covent Garden New Theatre offered The School of Reform and the pantomime Harlequin Pedlar for entertainment. Finally, an advert that caught my eye in The Times of 18th January 1810: Red or Grey hair changed to beautiful and permanent shades of Brown or Black, by Chasson’s incomparable Fluid. By the use of this preparation, the present mode of pencilling the eyebrows and whiskers may be avoided and the chance of a discovery in the moment of wiping the face entirely prevented. Sold at Mr Golding’s, 42 Cornhill; Mr Vickery’s Tavistock Street, Covent Garden; and Overton, 47 Bond Street in bottles as one pound one shilling; that for the eyebrows at ten shillings and sixpence. It seems that human nature hasn’t changed much over time, attempts are still being made today to persuade us to try and hold back the ageing process. So much for my little trip back in time, see you soon! It stands at the junction of Monument Street and Fish Street Hill in the City of London and was constructed between 1671 and 1677, to commemorate the Great Fire of London and to celebrate the rebuilding of the City. 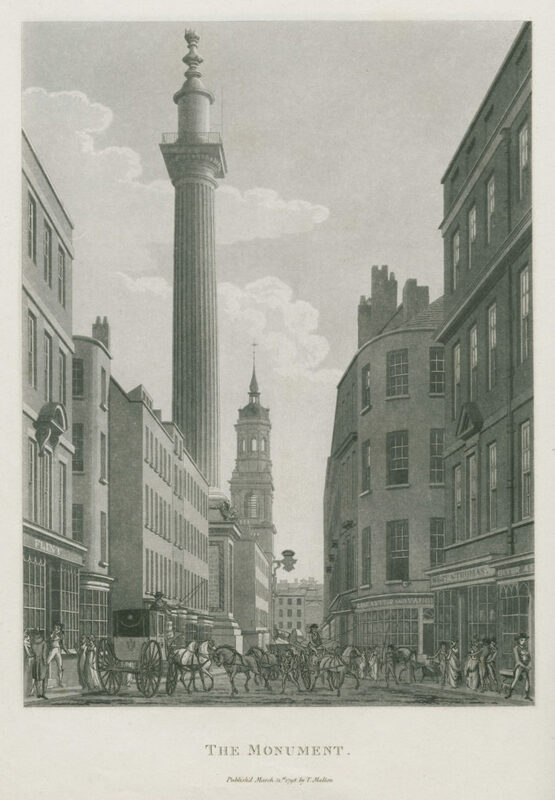 Based on a design by Sir Christopher Wren and Dr Robert Hooke, it stands two hundred and two feet high (sixty-one metres), apparently the exact distance between it and the site in Pudding Lane where the fire began. The viewing gallery is located not quite at the top, but at a height of one hundred and sixty feet — a pretty long way to fall.